CES/CLC 2018/2019 Yearbooks ON SALE NOW. Will deliver May 2019. Purchase using credit card at www.YearbookOrderCenter.com, school code- 16833. Online customers (only) have option to purchase NAME IMPRINTING on their yearbook. May also order by sending $35 cash or check to CES or CLC office. As part of the Project Lead the Way curriculum, kindergarten students are studying the human body. Mrs. Walley's class demonstrated how the lungs work. CLC is collecting Box Tops for Education. 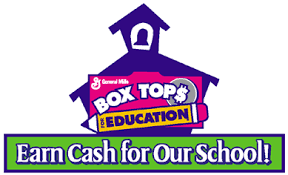 For each box top collected the school receives 10 cents. At the end of each semester, the class that has collected the most box tops will receive a pizza party.